It’s not been long since we last reviewed an ASUS RT-N10U wireless router which isn’t in the company top among wireless routers. Today we decided to have a look at the NETGEAR WNR1000v2 model that has no external antenna and no USB port. Let’s see what results this model will demonstrate in our tests. 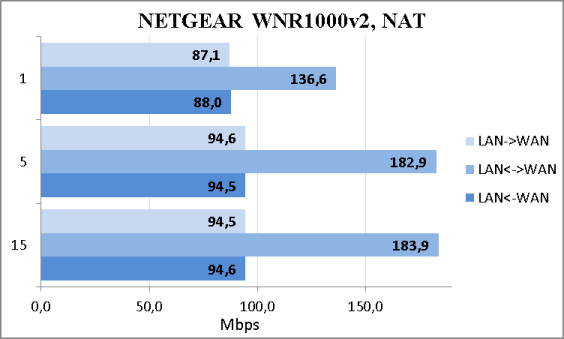 We have to mention that the NETGEAR Company produces several versions of the WNR 1000 model, however, only one of them – WNR1000v2 – is imported into Russia, so in our review we’re going to speak about this particular model. 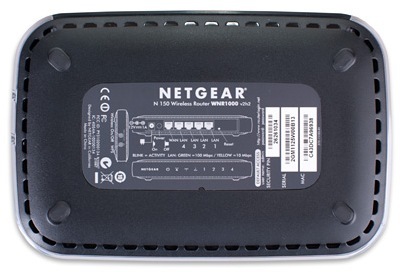 NETGEAR WNR1000v2 is performed in a shiny plastic case with grey side walls; its dimensions are 175*118*28 mm and its mass is 242 gr. 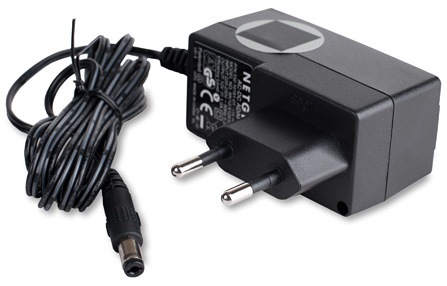 It uses a 12W/1A external power adapter. The wireless router has no external antennas. 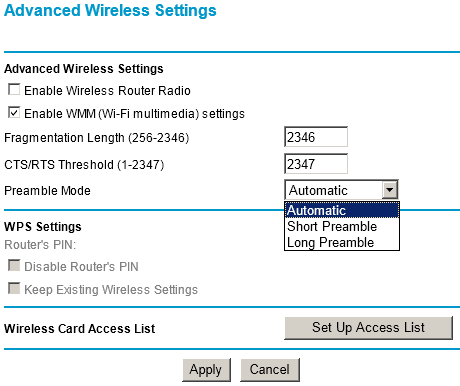 One of the side walls displays the buttons for turning the wireless network on and off and a WPS button for starting the same-name procedure of simplified Wi-Fi configuration. The front surface bears the vendor’s name and light indicators of power supply, internet access, statuses of the wireless network and its protection as well as four indicators of Fast Ethernet ports activity. Four LAN ports and one WAN port, the device power button as well as the power slot are on the wireless router back panel. The device bottom is quite featureless; here you’ll see four rubber stands and a sticker with brief information about the device. WNR1000 is not designed for rack mount. Now let’s look inside the device. All electronic filling is placed on one green textolite board whose main elements are put on one side. Atheros AR7240-AH1A performs the CPU functions, 32 Mbyte Hynix H5DU2562GTR is the RAM. 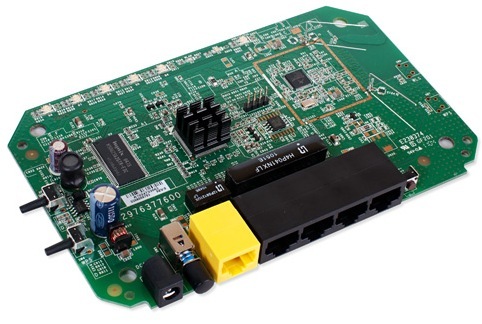 The router wireless capacities are provided by an Atheros AR9285 module. Here we’re through with the hardware review; let’s move on to reviewing WNR1000v2 software. 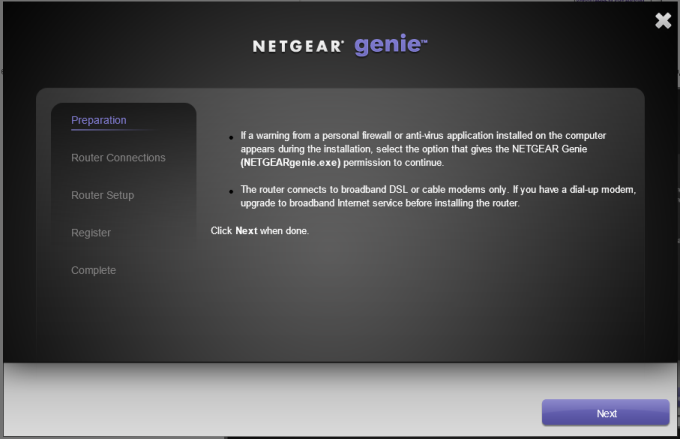 To upgrade the router firmware, one has to turn to the Router Upgrade menu of the Maintenance group. The upgrade can be performed in a manual or automatic mode. For automatic upgrade the router has to be connected to the internet. The process of automatic upgrade can be started with clicking on the Check button. 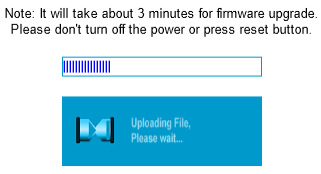 The whole upgrade process takes about three minutes (without the time required for downloading the file from the internet). Besides changing the firmware version itself, you can also upgrade the web-interface language file. Manual firmware upgrade is only slightly more complicated – first you have to download the file from the vendor’s site and upload it onto the device. In the case of upgrade failure - like if there was a surge arrest when the firmware was being upgraded – you may need a recovery procedure for which there’s a NETGEAR Router Firmware Recovery utility on the disc that comes together with the router. Before using this utility you will have to make sure there’re definitely some problems with the firmware – a slowly flashing power indicator will point at that. 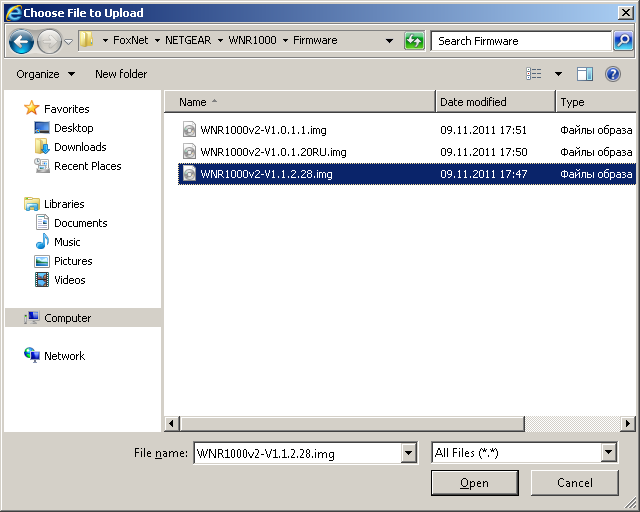 If there are several network adapters installed and used on a PC, the recovery utility will offer to choose the one WNR1000v2 is connected to. The whole process is intuitive and doesn’t take much time. 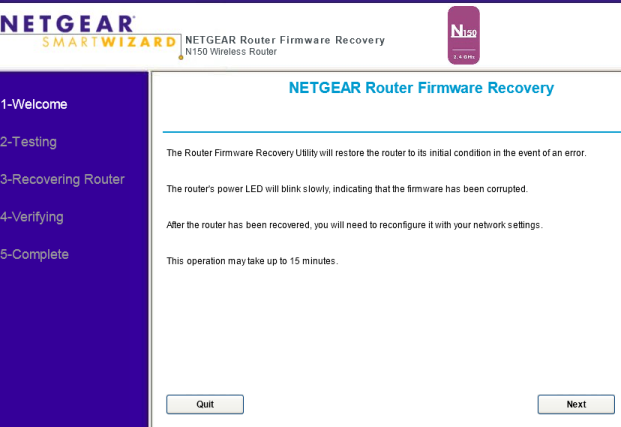 Unfortunately, the NETGEAR Router Firmware Recovery utility doesn’t always succeed in discovering and recovering the malfunctioning router. Luckily, there’s a means of recovering your firmware without any special utilities; the only thing you need is any tftp-client. After automatic rebooting WNR1000v2 will fully recover its working capacity. When the article had already been finished and cleared with the vendor, a new firmware version for the WNR1000v2 router was released – 1.1.2.50 – whose design had been substantially changed. So, we have installed firmware version 1.1.2.28 and now move on to describing the features of the web-interface. 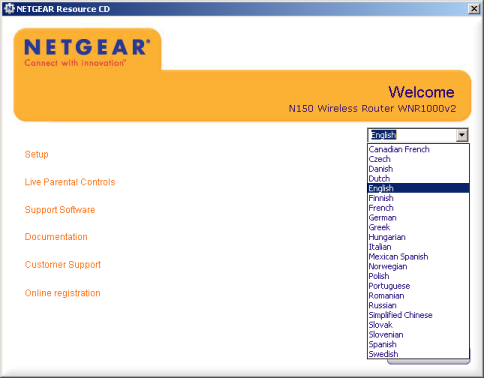 WNR1000 web-interface is typical for all NETGEAR wireless routers and is available at 192.168.1.1 IP-address. For access it requires a login and password which are by default admin and password, respectively. The device web-interface is available in 21 languages. Let’s consider some of the features of the menu to the left. 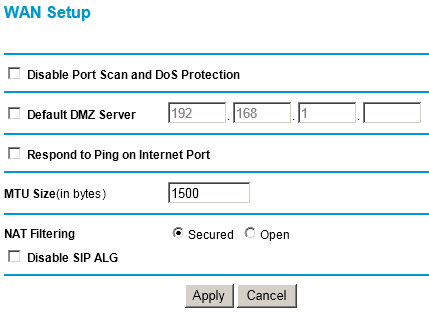 The Basic Settings menu of the Setup group is intended for connecting WNR1000 to the provider’s network. 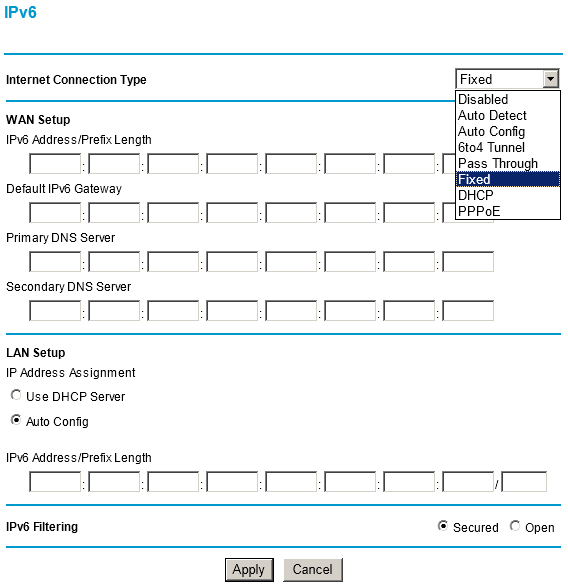 IP-parameters can be assigned both statically and dynamically (with the help of DHCP); PPPoE and PPTP are also supported. 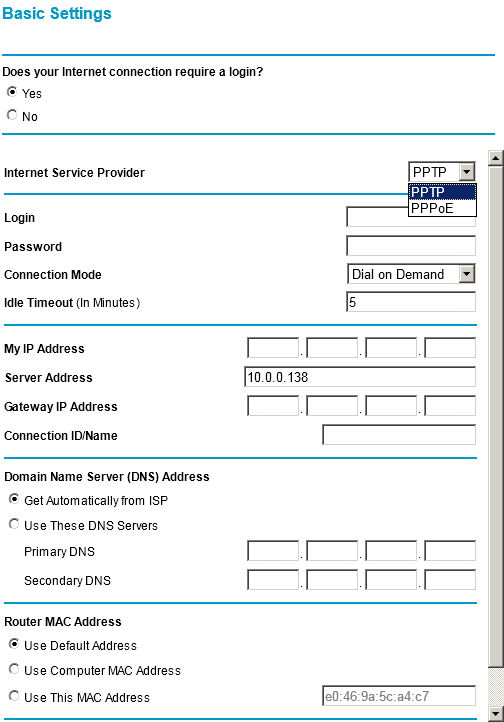 The information panel to the right of the router web-interface claims that L2TP is supported too; however we weren’t able to find this option choosing the tunnel type. According to the vendor, this problem has been solved in newer firmware beta-versions. 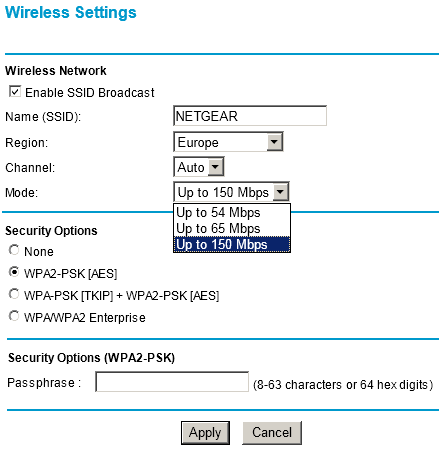 In the Wireless Settings menu of the same group one can choose a name for the network, specify the region where the device operates and the wireless channel, manage the maximum transmission speed and set security parameters. 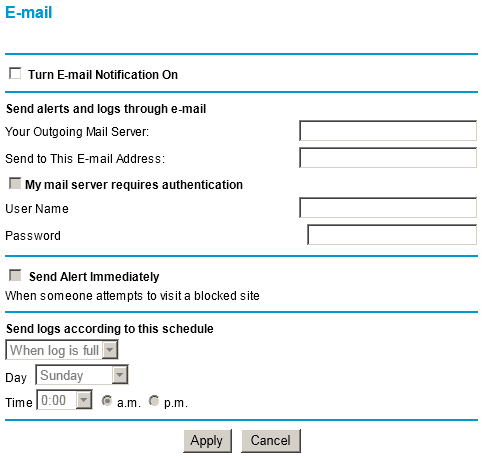 The Content Filtering group contains five points: Logs, Block Sites, Block Services, Schedule and E-mail which allow the administrator to make a schedule on which users will be prohibited to access certain sites or services and information about their attempts will be logged or sent via e-mail. It’s worth noting that the WNR1000 web-interface lacks time-zones that appeared after Russia stopped using daylight saving time. 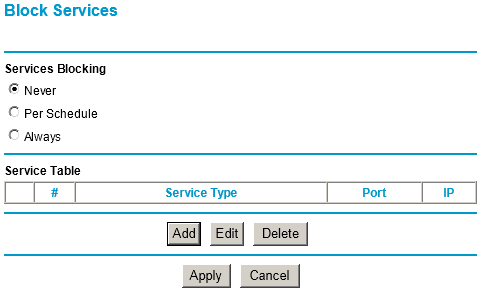 Information about the device hardware and firmware versions, data about the internet connection and wireless networks is available in the Router Status menu of the Maintenance group. 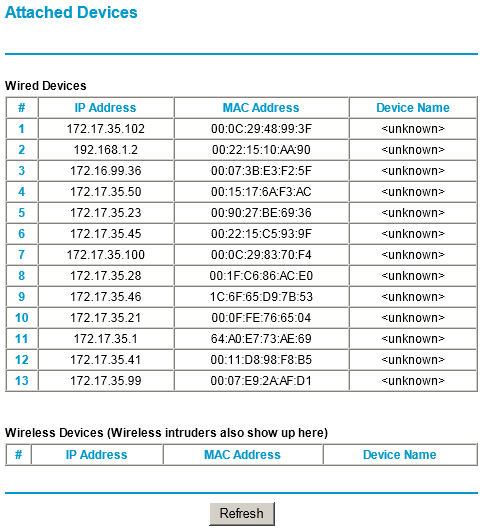 The Attached Devices menu of the same group depicts the list of devices in the wired and wireless segments detected with the help of ARP-queries. One can fine-tune the wireless network as well as the router LAN and WAN ports in the Wireless Settings, LAN Setup and WAN Setup points of the Advanced group, respectively. 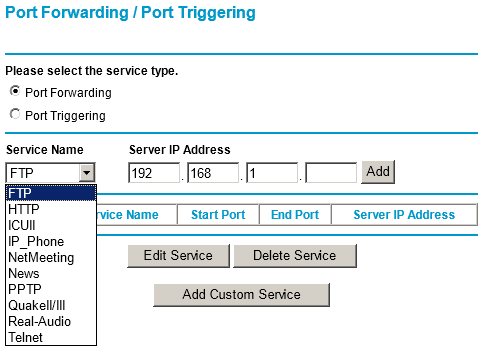 Virtual servers can be configured in Port Forwarding/Port Triggering of the same group. 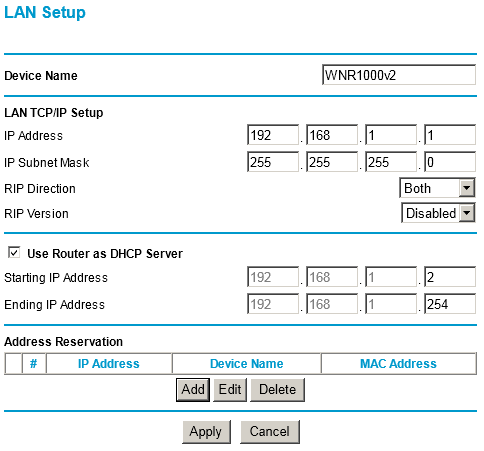 NETGEAR WNR1000 supports not only IPv4 but also IPv6 which can be configured in the same-name point. The wireless router at hand can also perform the functions of a simple billing system: it can count traffic and restrict users in the case of their exceeding the limits. 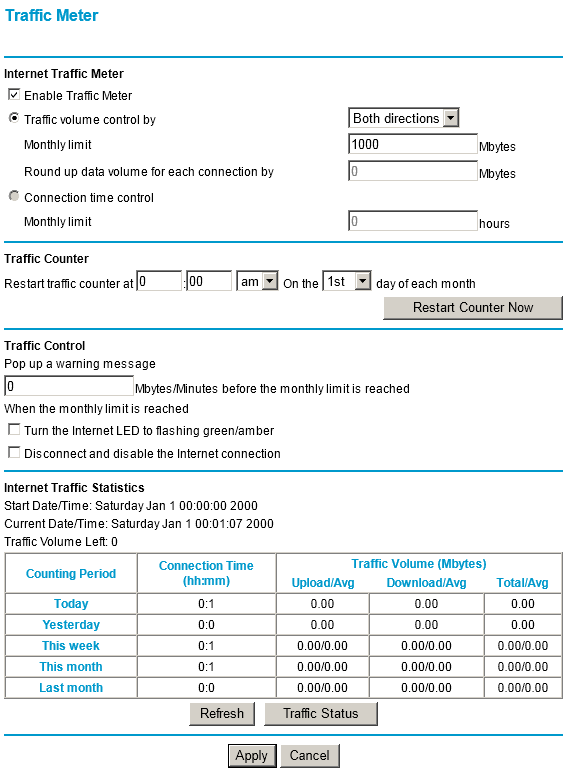 The respective configurations can be found in the Traffic Meter menu of the Advanced group. We can’t but mention the Web Support group comprised of the Knowledge Base and Documentation points that redirect the user to the vendor’s site to find more information. Here we’re through with the web-interface review. On the disc that comes together with the wireless router there are a number of handy utilities intended to simplify the device initial setup, to recover firmware, to manage parental control functions and some documentation. Unfortunately, we weren’t able to locate these utilities on the vendor’s site; it means that if the disc got lost, these utilities would be only available from NETGEAR technical support staff. 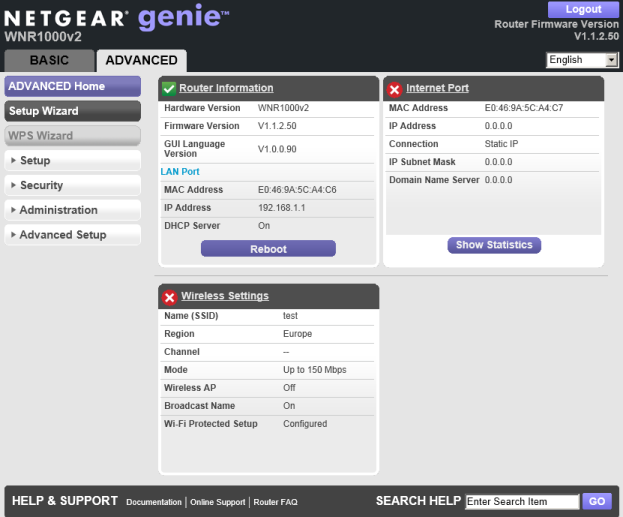 We already mentioned the NETGEAR Router Firmware Recovery program in the section devoted to firmware update; now let’s have a look at the following utilities available in 22 languages: NETGEAR Genie and Live Parental Controls. 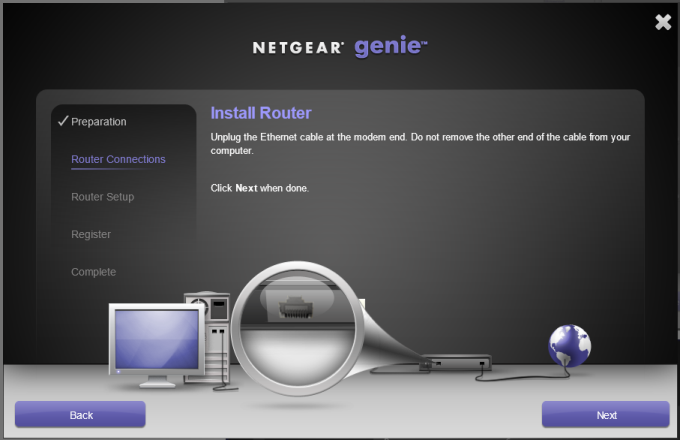 NETGEAR Genie considerably simplifies the process of the router initial setup by describing all steps the user has to take in much detail. 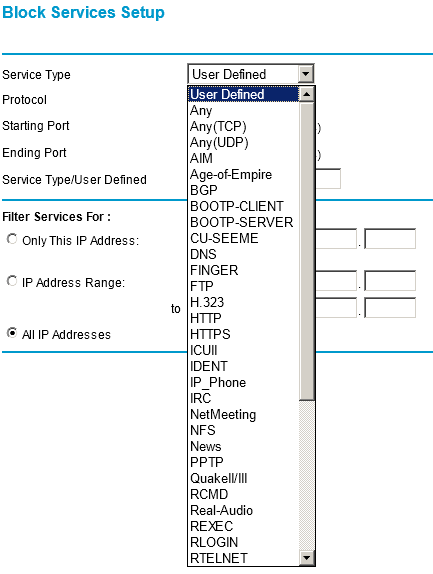 Parental control can be configured with the help of the Live Parental Controls utility that allows creating or using a pre-designed profile in the OpenDNS service where one can store filtering settings. We will have a closer look at the parental control operation in the testing section. 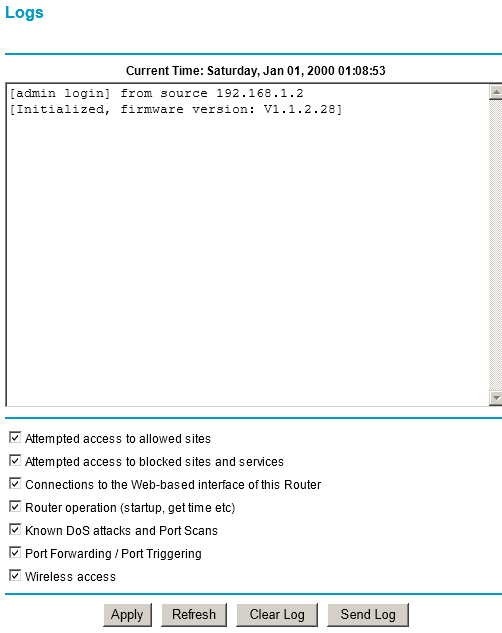 Besides connecting with the help of the described utilities and web-interface, the user can turn on hidden access to the command line. 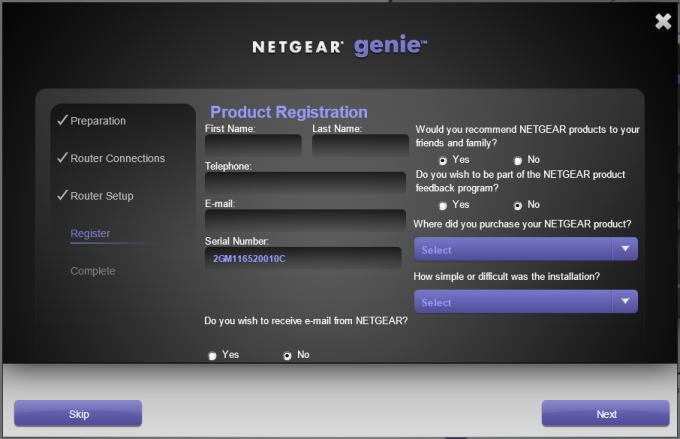 The process of switching it on is standard for all NETGEAR devices and has been described in the internet many times. The first test that traditionally starts this section is determining the device booting time. By booting time we mean the time interval from switching power on to the arrival of the first echo reply via ICMP. However, in this case we decided to leave the beaten track of this method. The thing is that WNR1000v2 starts responding to ICMP-requests on the tenth second but later stops doing so. Echo-replies resume coming after 41 seconds of the device booting; so we take this particular time interval as the result of our test. We consider WNR1000v2 booting time normal for this class of devices. Below are the results of pinging the wireless router when it was booting. Reply from 192.168.1.2: Destination host unreachable. The second test is to check the device security, for which we normally use a Positive Technologies network scanner XSpider 7.7 (Demo build 3100). Scanning was performed from the LAN-interface. Altogether we detected six open ports: TCP-23 (Telnet), TCP-53 (DNS), UDP-53 (DNS), TCP-80 (HTTP), TCP-3333 (dec-notes), TCP-5555 (HTTP). No serious insecurities were found. 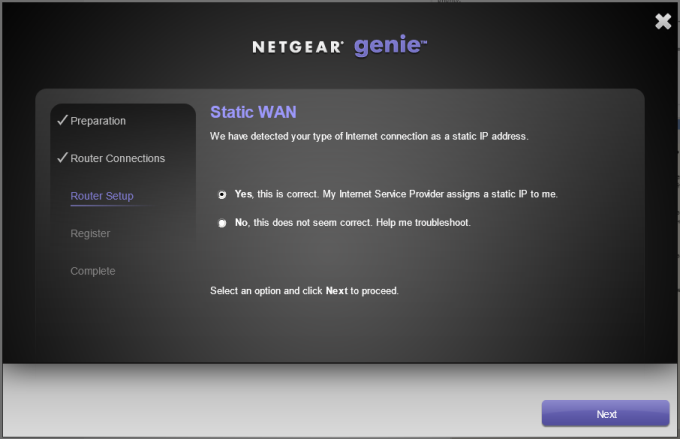 We couldn’t but pay attention to the parental control implemented in the NETGEAR WNR1000v2 wireless router. 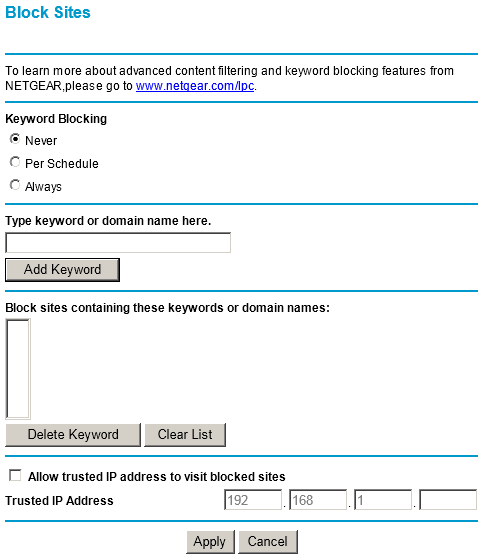 When the user tries to access certain sites the router checks up if the resource belongs to a restricted category and depending on the chosen security level it can either allow or block access to the materials in question. 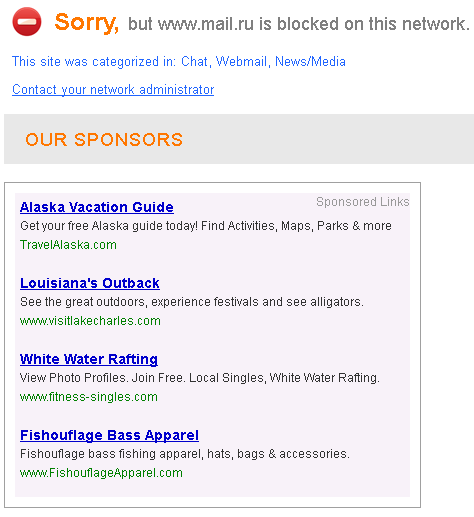 If the site is blocked, the user will receive a pop-up message. Sites are analyzed exclusively by their domain names. So, if the name is not yet in the base, access to this resource won’t be banned. Moreover, Live Parental Controls didn’t block thumbnails of some adult-related pages saved in the search engine cache, but luckily it didn’t provide full cached copies. Now let’s turn to arguably the most awaited part of the testing section – measuring data transmission speeds. The main parameters of the testing stand are presented below. The first test in this batch of tests was determining data transmission speeds between wired and wireless segments. It’s worth noting that all tests for IPv4 were held with the help of JPerf 2.0.2 and IPerf 2.0.5 utilities. The results of measuring data transmission speeds in the wireless segment are presented below. The measurements were taken for one, five and fifteen simultaneous connections. Considering the fact that the maximum theoretical transmission speed in the WNR1000v2 wireless segment is 150 Mbps, we think the obtained rates to be acceptable. We were much more impressed by the speeds of the wired segment: whereas routing at Fast Ethernet speeds is no longer a wonder, PPTP work at comparable rates is still a rarity. Again, the measurements were taken for one, five and fifteen simultaneous connections. 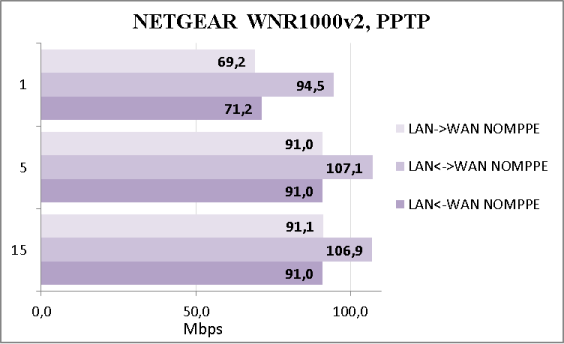 Besides routing data via IPv4, NETGEAR WNR1000v2 can also route an IP of a later version – IPv6, though here the figures aren’t so impressive. In this case we decided to hold the measurements not using synthetic tests but just by copying a big file between virtual discs in RAM. Such virtual discs were created with the help of a SuperSpeed RamDisk Plus 11.5 utility and used to exclude the influence of the real disc subsystem of the testing stand. Data transmission speeds for this case are presented on the diagram below. As only one TCP-stream was used in copying, we decided to find out how an increased number of connections influences the overall speed. It turned out that the growing number of connections only slightly reduces the router’s performance. Naturally, we wanted to make sure that parts of the testing stands are not a bottleneck in our experiment and connected them directly with a patch-cord. The resulting speeds exceeded 500 Mbps, which is much higher than the figures in the previous test. Here we would like to finish the testing section and draw our conclusions. 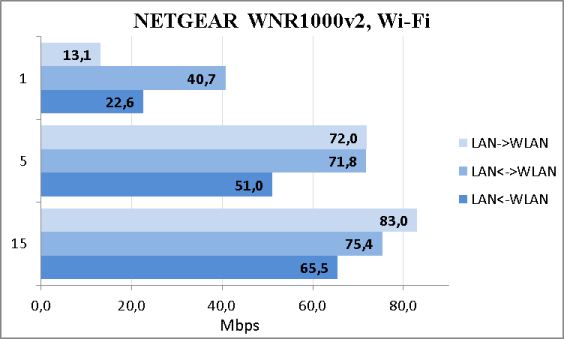 The wireless router WNR1000v2 by NETGEAR that we tested in our lab turned out to be a source of a lot of positive emotions as its capabilities and PPTP performance – which is a popular way of accessing the internet in Russia and the CIS – are very impressive. On the whole, it is a budget solution that can satisfy the needs of an ordinary user; moreover, it’s ready for the introduction of the new IPv6 standard. WNR1000v2’s advantages are listed below. This time, the number of disadvantages is small. 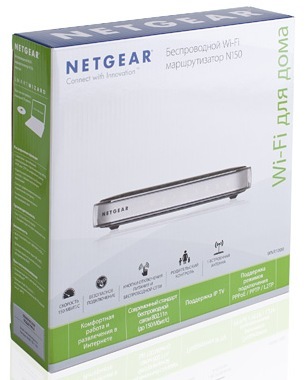 When the article was being written, the average price for NETGEAR WNR1000v2 in Moscow online shops was 1300 RUB. It’s not been long since we last reviewed an ASUS RT-N10U wireless router (http://www.foxnetwork.ru/index.php/en/component/content/article/92-asus-rt-n10u.html) which isn’t in the company top among wireless routers. Today we decided to have a look at the NETGEAR WNR1000v2 model that has no external antenna and no USB port. Let’s see what results this model will demonstrate in our tests. Atheros (http://www.qca.qualcomm.com/) AR7240-AH1A performs the CPU functions, 32 Mbyte Hynix (http://www.hynix.com/en/index.jsp) H5DU2562GTR (http://www.hynix.com/products/consumer/view.jsp?info.ramKind=02&info.serialNo=H5DU2562GTR&posMap=consumerDDRSDRAM) is the RAM. 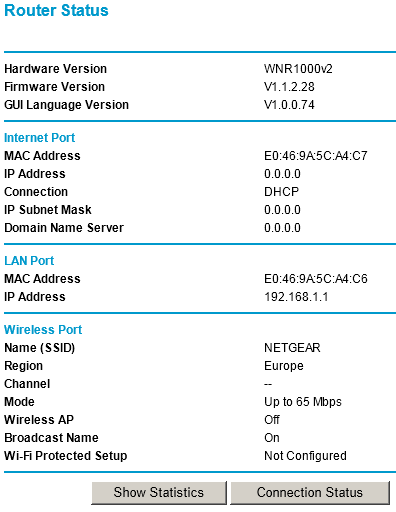 The router wireless capacities are provided by an Atheros AR9285 (http://www.qca.qualcomm.com/technology/technology.php?nav1=47&product=79) module. This router is really good, As I also have this router at my home.